HomeFront has an MLK Day service opportunity in their Diaper Resource Center. There’s only room for 10 volunteers, so sign-up quickly. We’ll be sorting diapers by size and shelving them. The facility is cold, please dress warmly. Contact Ronnie Dobrowolski to let us know … read more. The Holiday Season is a traditional time for giving. 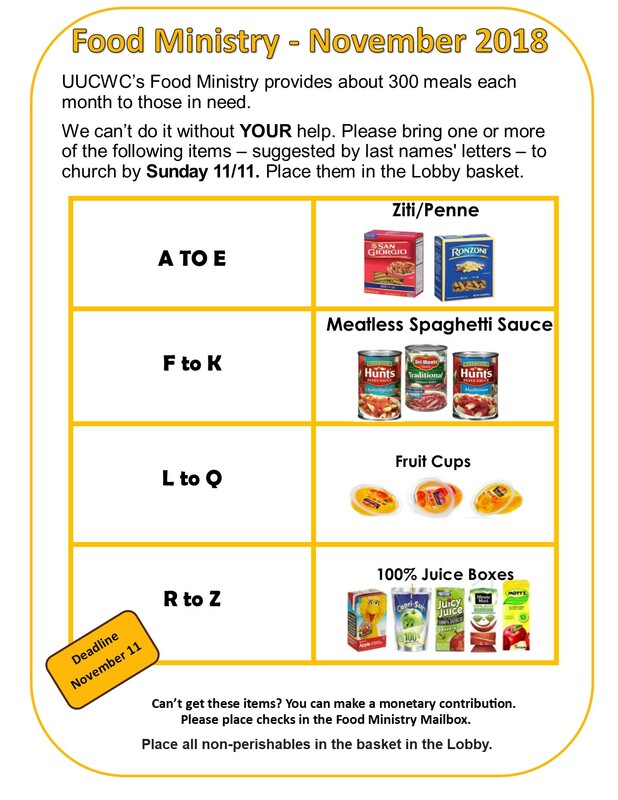 Here at UUCWC, we have a number of holiday food collections to support those in our community who are hungry. Hunger can affect people from all walks of life. Many Americans are one job loss or medical … read more. No child should go hungry on Thanksgiving Day or any day, so HomeFront is collecting food items for their annual Thanksgiving Drive. Please help us feed our families by putting together Thanksgiving food baskets. We’ll deliver them to HomeFront in time for them to be … read more. 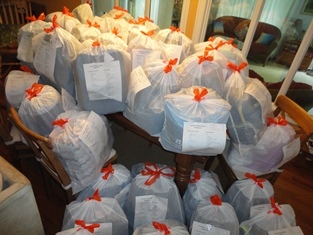 This year members, groups and friends of the congregation donated a record number of backpacks, all stuffed with school uniforms and school supplies, to help 34 HomeFront kids start the school year off right and have a brighter, happier year at school. Monetary donations to purchase other needed supplies are always welcome. 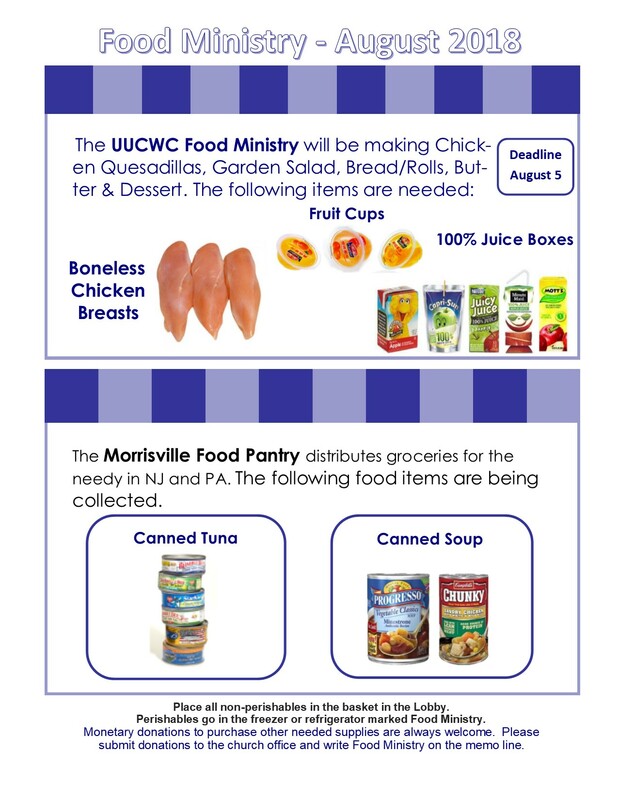 Please submit donations to the church office and write “Food Ministry” on the memo line. We’ll be making lunches for about 50 kids. The tasks will include making and … read more.